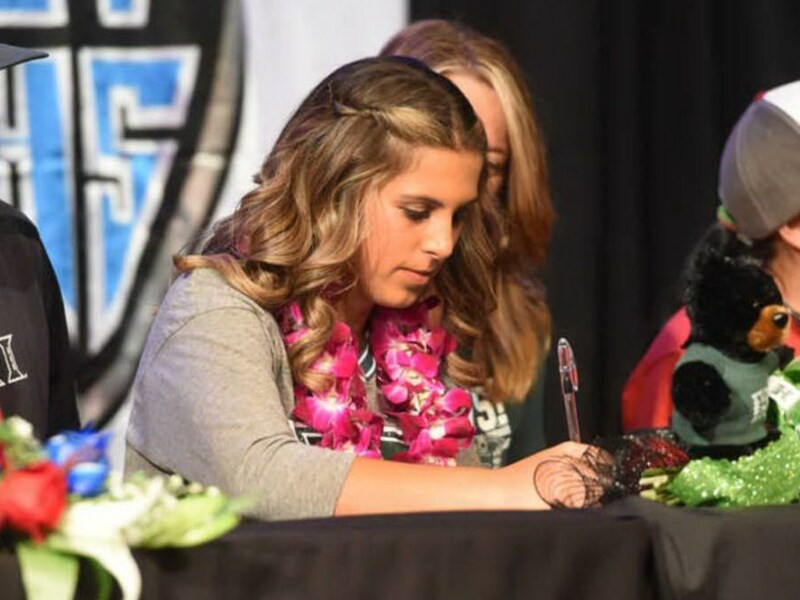 The CIF-SS record book will read that Grand Terrace won the CIF-SS Division 6 girls soccer championship this year, by forfeit over a team that will not be named because the runner-up finish will be vacated. But truthfully, there were no winners when Grand Terrace was awarded the win prior to playing league and district rival Bloomington for the title last Friday. Bloomington was penalized when it was brought to the Bruins’ attention that they had been using a player that was academically ineligible. Bloomington confirmed the error earlier on Friday, but it wasn’t until the teams were warming up before the 5:00 scheduled start that the forfeit was announced. 1. Bloomington. Of course, the Bruins missed a chance to win a CIF-SS title. And Bloomington was seeded No. 1 and had beaten Grand Terrace in two regular season meetings. How much difference did the ineligible player make? I’m not sure. Because Bloomington won’t have the chance to prove it either way. 2. The fans. With official word not coming until about a half an hour before game time, fans were already on their way. CIF-SS Commissioner Rob Wigod said no tickets had been purchased, so no refunds were necessary. But fans missed out on watching what should have been a great game for both communities. Outside of wrestling, Bloomington sports have struggled for years and this was supposed to be a bright spot. Grand Terrace is too new of a school for it to feel like a drought but the fans didn’t get to enjoy playing in a CIF-SS championship game. 3. Santa Ana Century, South El Monte, Pasadena Maranatha, Montebello Schurr. Those are the four teams Bloomington defeated en route to the championship game. We know that the ineligible player played in at least all of the playoff games. So, who’s to say one of those teams shouldn’t have advanced instead and who would’ve come out of that half of the bracket? Bloomington outscored those four opponents 10-0, with only one game (vs. Maranatha) by a 1-0 score. It’s not known how much the player helped, but regardless, a team playing by the rules should have advanced. When asked if CIF-SS could’ve put Schurr in the finals, because that was the team that lost to Bloomington in the semifinals, it was said that it wasn’t that easy. Because, technically, Century should’ve advanced to play South El Monte, with the winner advancing to play Maranatha, with the winner of that facing Schurr. You can’t do all of that before the finals. 4. Grand Terrace. 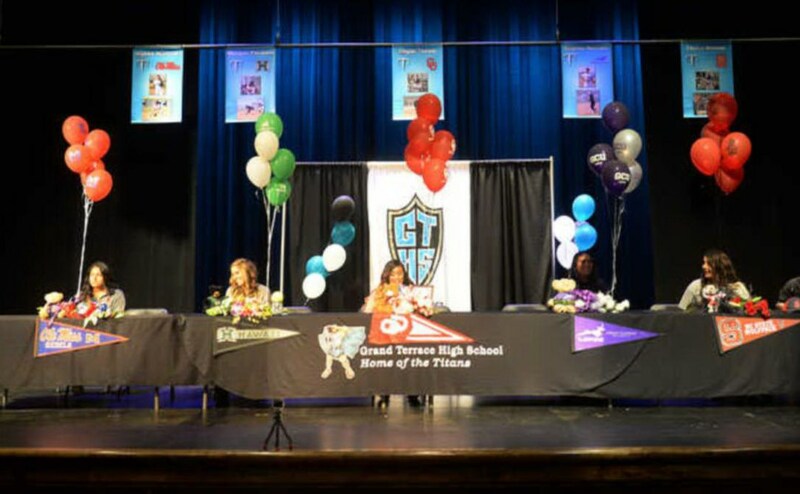 Sure, Grand Terrace was awarded a CIF-SS title. But there is a lot that the Titans didn’t get. Grand Terrace didn’t get a chance to play in a CIF-SS championship game. Coach Ryan Pacheco said players were reluctant to want to take a picture in front of the scoreboard after earning the forfeit. How much can you rejoice after winning a game you didn’t play? Not only that, but fans would say that Bloomington would’ve won had the two teams played. While its true that Bloomington was the favorite, the first two games were 1-0 and Grand Terrace might have won anyway. We’ll never know. People will always wonder if Grand Terrace was the best team in the division. Don’t take Grand Terrace’s result in the CIF SoCal Girls Soccer Division V Regional as proof or not proof as to Grand Terrace’s legitimacy for the title. Most teams don’t place the same emphasis on the regional as they do for the CIF-SS playoffs. There can be a fine line in scheduling for high school sports teams between scheduling easy enough for the team to get some confidence and hard enough for them to be challenged. But, if you’re not really concerned with one of those two sides of the coin, it makes it a bit easier. Grand Terrace girls soccer at 5-6-3 already has twice as many losses as it had all of last season, when it went 21-3-3, but was ousted in the second round of the CIF-SS playoffs. Coach Ryan Pacheco isn’t concerned about the team’s confidence. Nearly all of the key players from last year’s team are back this year, so confidence isn’t an issue. He wanted the team to be challenged, so he upped the schedule. It’s not that last year’s was easy, and it wasn’t a complete overhaul, but he wanted to upgrade. Truthfully, the poor record is due in part to the Titans not fielding its starting 11 for any game this season, until Wednesday’s showdown with No. 1 Bloomington. The game is at Bloomington at 5 p.m.
Because of injuries and other absences, Pacheco and his staff have gotten a chance to see a lot of players play who wouldn’t normally have played. Pacheco isn’t concerned with his team’s record, and also isn’t concerned with his team’s ranking. While the record isn’t good, the ranking is just fine. 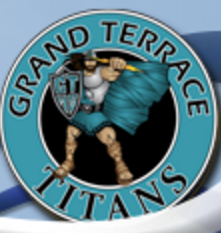 Despite its sub-par record, Grand Terrace is ranked No. 3 in CIF-SS Division 6, behind No. 1 Bloomington and No. 2 Lake Elsinore Temescal Canyon. Both Grand Terrace and Bloomington have played Temescal Canyon. Bloomington defeated Temescal Canyon 3-0 on Dec. 8, while Temescal Canyon defeated Grand Terrace 2-0 on Dec. 15. That being said, Pacheco expects the game against Bloomington to be close. A year ago, Grand Terrace won 2-1 and the teams tied the other game 0-0, Grand Terrace’s only league blemish. In three years, only one of six games between the teams has been decided by more than one goal. Grand Terrace won the competitive Santiago Spring Fling Tournament on Saturday, hosted by Corona Santiago. The event covers two weekends. On April 10, Grand Terrace defeated Valencia West Ranch 5-1 and on April 11, defeated Oak Hills 7-3 before losing to Murrieta Valley 2-1. Last Saturday, the Titans finished off the title with a pair of wins 4-3 over Citrus Valley and avenging their earlier tournament loss by beating Murrieta Valley in the finals, 7-2. How impressive was it? Murrieta Valley and West Ranch are both ranked in the top 10 in Division 1 and Citrus Valley, although unranked had defeated tournament host Corona Sanitago (ranked No. 2 in Division 1) earlier in the tournament. On Saturday, Melanie Olmos starred in the circle and at the plate. She was the winning pitcher in both games. 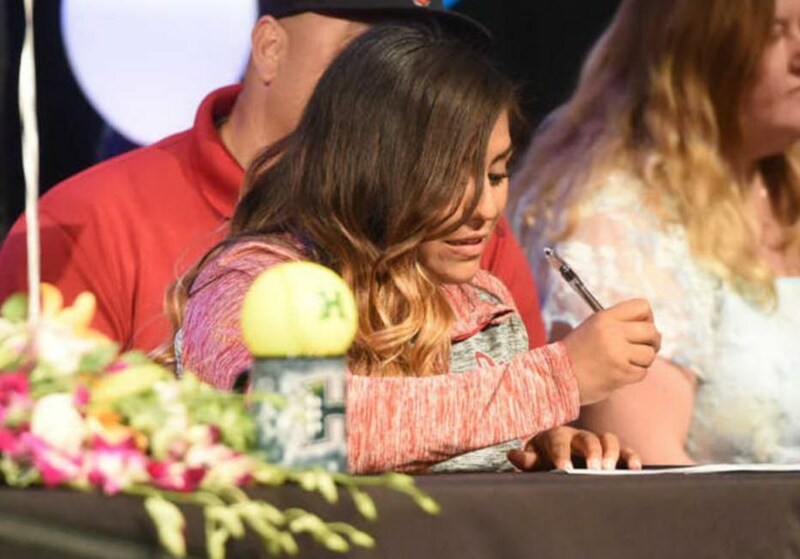 She drove in two runs, including the winning run against Citrus Valley and had two more hits and drove in two more runs against Murrieta Valley. With delays due to spring break, Bloomington appears on the verge of naming its new head football coach. The Colton district board agenda for Thursday lists Brian W. Kidd as the selection. The agenda also lists him as a walk-on and a new hire. At this time, it is not known whether it is the same Brian Kidd who used to be the head coach at Carter, most recently in 2007. In addition, the agenda lists that Ryan Smalls will return as Grand Terrace coach for a second season. Smalls was the Titans’ coach last year, but his position was opened up after the season because he is not a teacher at the school.